Thank you for expressing an interest in having your child attend Epiphany Prep Charter School. 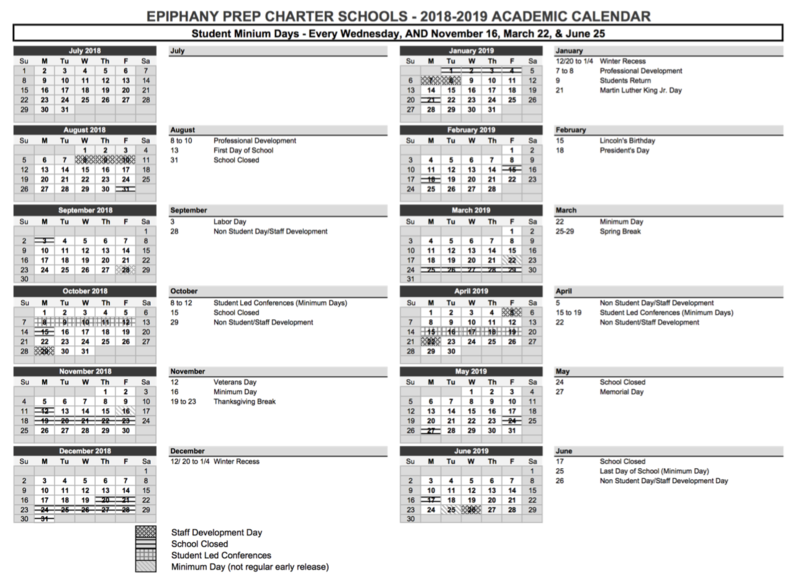 Below is information about charter schools and Epiphany Prep. Please see our Parent and Student Handbook for further information. An updated handbook will be available for the 2018-2019 school year. A charter school is a tuition free public school open to any student. Charter schools are designed around the needs of the local community it serves. Epiphany Prep’s Charter is authorized by the San Diego Unified School District and run by a group of leading educators and business people. How can I apply for admission to Epiphany Prep? Epiphany Prep is open to ALL children in California and we are committed to enrolling and retaining a broad spectrum of students and families representative of the rich diversity existing in San Diego county. - If Epiphany Prep receives more applications than spaces available in a grade, then a single public random lottery will be held for each of those grades in May 2019 to determine students accepted for enrollment. - Current Epiphany students who will be returning next year DO NOT need to complete this application. - Applications and waitlist numbers from last year are no longer valid. You need to re-apply for this year. - Please do not complete more than one application per student. - After completing the application, PLEASE PRINT YOUR CONFIRMATION for your records. - This application must be completed by the prospective student's parent or legal guardian. Apply now﻿ for the 2019-2020 school year! Please contact our Escondido campus at 760-280-0028 if you have questions about the enrollment process. What is the academic calendar and when are school breaks?